In a divorce, joint credit card accounts can present a thorny problem. These revolving accounts allow you to carry a balance indefinitely, as long as you make the minimum monthly payments. To determine which spouse used the card for specific purchases, you must refer to old account statements. If they were destroyed, you have to contact the credit card company for the statements, which can be a time-consuming hassle. It may be possible to transform the joint account into an individual one or close it altogether. If your spouse is an authorized user on your card, removing him from the account is usually straightforward. You simply write a letter to the credit card company or call the card's customer service number. If you have a joint credit card account with your spouse, you can request his removal in the same way, but you may not succeed. In Arizona, community property also means community debt -- both spouses are responsible for any debts contracted during the marriage, whether the account is individual or joint. Even if you can agree on a division of the debt, the credit card company can still hold both account owners responsible for any outstanding balance. For that reason, credit card companies may not agree to remove a joint account holder, as he represents another source of payments for the debt. Arizona's laws on divorce and community property provide that any debts incurred before the marriage are the separate responsibility of the individual who contracted the debts. If you had a credit card in your own name, then added your spouse as a co-owner after marriage, the debts racked up before the marriage would belong to you exclusively. Since multiple payments on the account occurred during marriage, however, it's going to be difficult to calculate what part of the remaining balance is solely your debt. An alternative to attempting to remove your spouse from the account is to pay off the balance and close the account before the divorce is final. 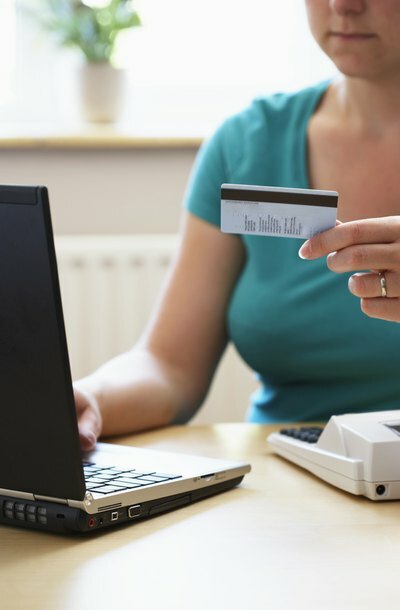 Paying off credit cards is not always financially feasible. An alternative to paying off the joint debt is to reach an agreement with your spouse as to which portion of the debt each of you is responsible. If you're unable to agree on a division of debts, you can consult a financial planner or an Arizona attorney that specializes in marital property settlements. Also, the court may turn the contested issue over to a mediator, or alternatively, the judge will divide the debt, taking into account the testimony and evidence from both you and your spouse. Nirenstein Garnice: What Is Community Property? What are Community Debts? Owners of an LLC, or limited liability company, each contribute various resources to the business in exchange for a portion of ownership. Capitalization is the contribution of cash resources. The process usually begins before official business formation according to the state's requirements, but the contributions are actually made after the business is formed.